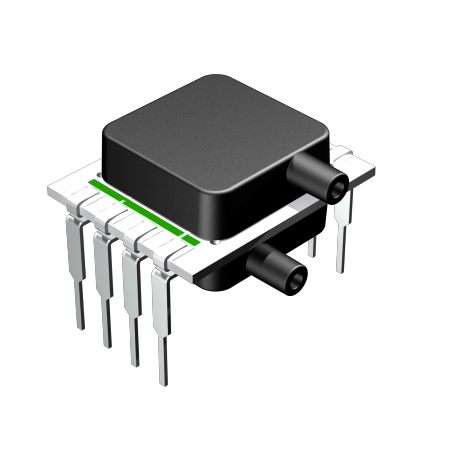 The DLVR Series mini digital output pressure sensor is based on All Sensors' CoBeam2 TM Technology. This reduces package stress susceptibility, resulting in improved overall long term stability. 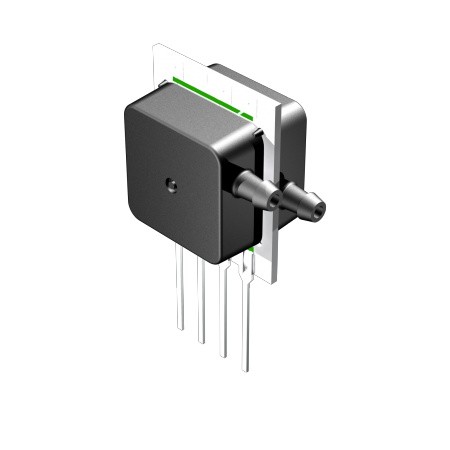 The technology also vastly improves position sensitivity compared to single die devices. The supply voltage options ease integration of the sensors into a wide range of process control and measurement systems, allowing direct connection to serial communications channels. 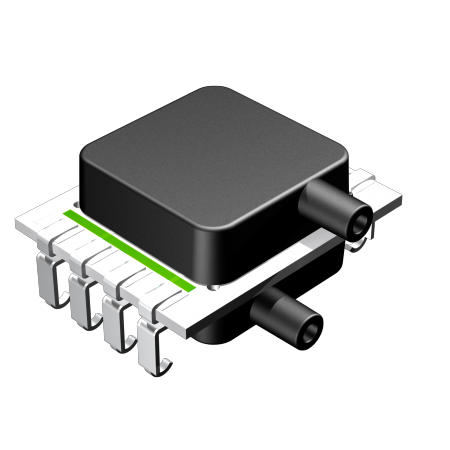 For battery-powered systems, the sensors can enter very low-power modes between readings to minimize load to power supply. 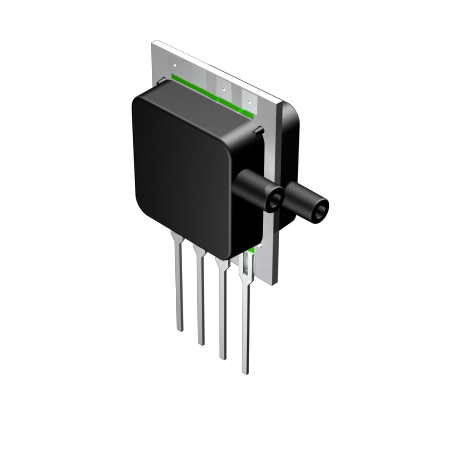 These calibrated and compensated sensors provide an accurate, stable output over a wide temperature range. This series is intended for use with non-corrosive, non-ionic working fluids such as air, dry gases and the like. A protective parylene coating is optionally available for moisture/harsh media protection. NOTE 1: The span is the algebraic difference between full scale decimal counts and the offset decimal counts. NOTE 2: Total error band comprises of offset and span temperature and calibration errors, linearity and pressure hysteresis errors, offset warm-up shift, offset position sensitivity and long term offset drift errors. NOTE 3: Shift is relative to 25°C. NOTE 4: Shift is within the first hour of excitation applied to the device. NOTE 5: Parameter is characterized and not 100% tested. NOTE 6: Measured at one-half full scale rated pressure using best straight line curve fit.